Attention! These are friends of someone I know through work. The ladies went missing on what was supposed to be a camping trip. The authorities are hoping to track them down by finding where their car is parked. Its a 2005 black Saturn Vue with modified front turn signals. They think it may be parked at a trailhead in the Grand Teton National Park. If any of you are in the area (Jackson, Wyoming) please keep an eye out for this car. 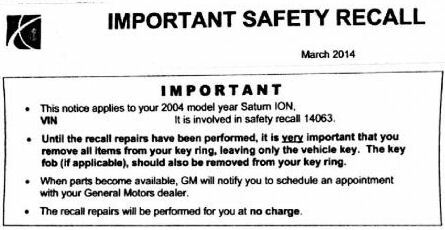 SaturnFans.com has obtained a copy of the letter being sent out to Ion owners impacted by the ignition switch recall. 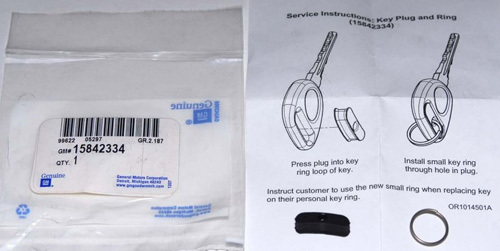 The bottom line: replacement parts are not available and if you have to drive your car make sure you remove the key fob and any other keys to eliminate any excess weight on the ignition key. 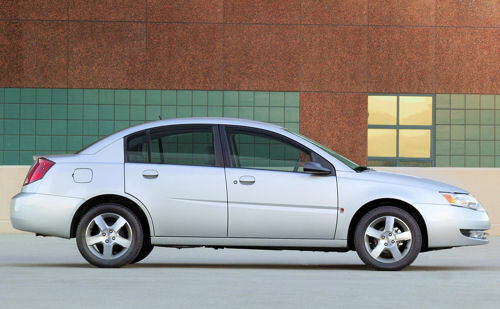 The National Highway Traffic Safety Administration (NHTSA) has launched an investigation to determine whether General Motors should have also recalled the Saturn Ion when it recalled the Chevrolet Cobalt for a power steering defect back in 2010. Michigan Live reports that the government agency has received "846 complaints about power steering problems in Saturn Ions from the 2004-2007 model years." From the Windsor Star: The Ion replaced the four-door SL and two-door SC coupe models as the cornerstone of the Saturn small-car lineup. 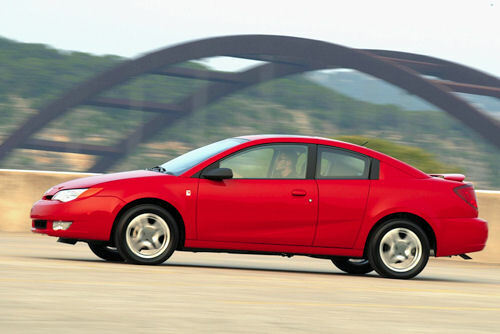 Both the Ion sedan and Quad Coupe, so called because it came with small, clamshell-style rear openings, used plastic body panels to fend off dings and dents. The Sacramento Bee reported earlier this month that GM will pay owners of Saturn Ions and Vues equipped with continuously variable transmissions. With the 2005 model year just around the corner, SaturnFans.com has assembled a list of the rumored changes to each of Saturn's existing models. Look for a more complete - and official - list to be posted online as soon as it becomes available. SaturnFans.com has learned that at a press conference earlier this week, Gary Cowger, GM President of North America, hinted that GM plans to "change" the Ion later this year. While Cowger did not elaborate as to what changes are coming for the 2005 model year, interior and exterior updates are likely in store. Last week Saturn unveiled its all-new 2005 Relay sport van to the media in a virtual press conference. For the first time we were able to get an official look at what we could expect from Saturn's upcoming minivan. However, with availability of the Relay still almost a year away, Saturn didn't share all of the details about the new model. Is America Ready for a Real European Car? The Astra's insides are well built and well trimmed if a bit austere, with lots of black, grey and silver plastic. You can tell the Astra wasn't designed in the US; it's a little shy on cupholders and there's no MP3 player input jack for the stereo. Still, as compact cars go it's marginally cheerier than the VW Rabbit's cabin, though not nearly as stylish as the Nissan Sentra or Honda Civic. There are currently 8 users and 504 guests online.